The inaugural SpaceX Falcon Heavy launches from Complex 39A at the Kennedy Space Center, Florida on Feb. 6, 2018. Credit: Ron Palmisano/SpaceNews. Air Force certification could take as many as 14 or as few as two flights. WASHINGTON — The inaugural launch on Tuesday of the world’s most powerful rocket sets the stage for SpaceX’s Falcon Heavy to begin the qualification process to compete for lucrative U.S. government contracts. Certification could take as many as 14 or as few as two flights, a spokesperson for the Air Force Space and Missile Systems Command, in Los Angeles, told SpaceNews. For new rockets like the Falcon Heavy, there are many variables at play, such as the confidence the government has in the design and its record flying commercial payloads into orbit. The process is articulated in detail in the United States Air Force Launch Services New Entrant Certification Guide that was published in 2011. The Air Force calls it a “risk-based approach” with four certification options based on the maturity of the launch system. These options require as many as 14 flights, or as few as two. With fewer flights there would be more in-depth technical evaluations. Once the Air Force signs off on the company’s “statement of intent,” the government and SpaceX would negotiate a certification plan under a formal agreement. The Air Force would then conduct a technical evaluation and detailed analysis of the launch vehicle design and a review of the company’s manufacturing and system engineering processes. It also would analyze data from the rocket’s flight history. The Pentagon would expect the Falcon Heavy to compete for launches of large, expensive spy satellites that now can only be flown by the United Launch Alliance’s Delta 4 rocket. Young is a former undersecretary of defense for acquisition, technology and logistics. “If I was still part of the DoD acquisition team I would be enormously excited,” he said. 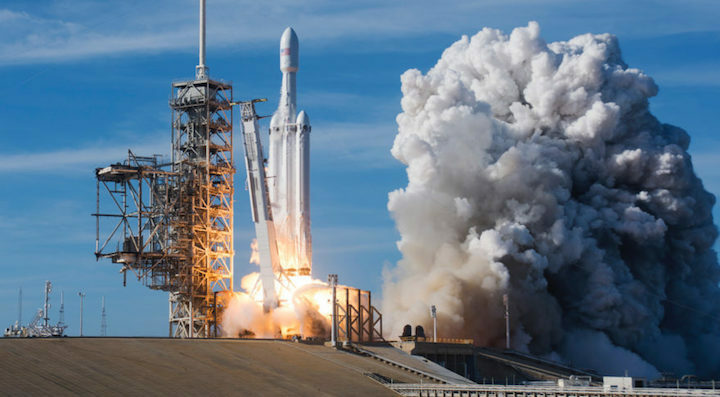 Charles Miller, president of the consulting firm NextGen Space, said the Pentagon is in a comfortable position to “sit back and watch” how Falcon Heavy performs in upcoming commercial launches. “SpaceX will have more data, which will lower the risk to national security customers,” Miller said in an interview.